Chozen-ji Zen temple is having an Art Show and Open House Saturday, November 11 from 9 to 4 and Sunday from 9 to 2pm. All are welcome. My basic practice is Japanese flute player. Since I like to shoot things, I do this. You read the zen books, they tell you, you need three things before you can become enlightened. One, you have to have faith there is such a thing. That it isn’t a scam. The second thing is you need doubt. Great doubt, because you don’t know what it is. Doubt is difficult, especially for smart guys, because smart guys are not used to being in a position where they don’t know. Who is Noe Tanigawa? You can say, Noe Tanigawa is me. Okay fine. Take is deeper, who is this me, that is Noe Tanigawa? That’s doubt. If it keeps coming, coming, coming back, if it builds, it goes from doubt to great doubt, you enter an existential crisis where you really want to find out. But it’s too uncomfortable. Very few people are willing to take it to that point. That’s why the Buddha when he was enlightened, I heard, his first thoughts were that. This is too damn difficult for people, forget it. Then he was encouraged by people he had trained with and they told him, what you know you gotta share with the world. He agreed. And that’s how the whole thing started 2500 years ago, and it’s still here. We’re the 85th generation to carry that teaching. 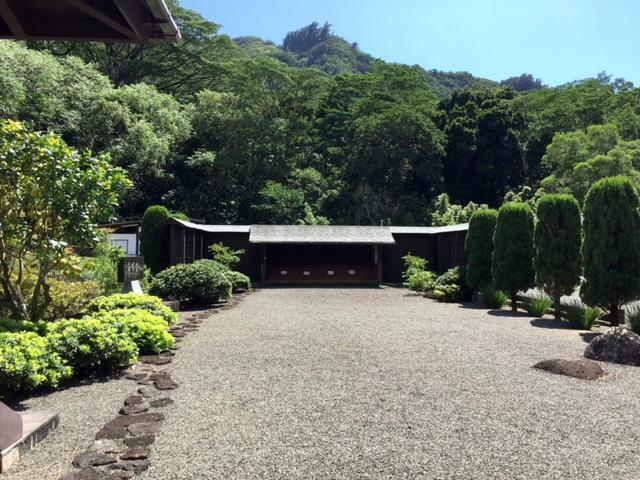 This Kyudo dojo was designed by Jackson Morisawa a long time ago. To me this is one of the msot beautiful ranges you will ever find. Michael Hodge is the resident monk at Chozen-ji. I wanted my life to be better and I hadn't been in a venue that was willing to take on a whole human being. Schools are pretty good fore-educating people's minds, or athletics for the body, and when I encountered this place, it was the only place that said, we'll take all of you. All the bad stuff, all the good stuff, all the stuff you haven't figured out yet. If you're willing to make that commitment, what comes out on the other side can be that free and open but it's not an easy path. 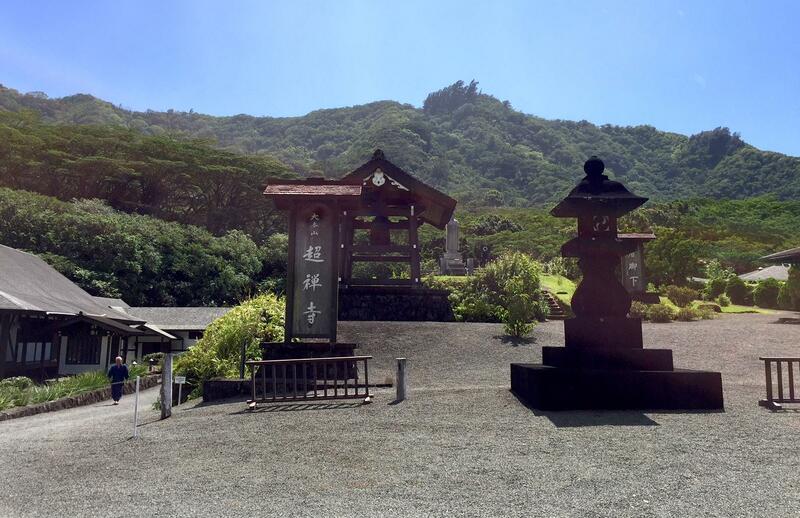 How does Chozen-ji compare to other zen dojo? We had a group sitting in Shanghai for a while, so we'd get people form all over the world who had been training in different traditions and I've never had somebody say that what they did somewhere else was more intense than what we do, or more brutal. This has always been the standard in terms of how deep can you train. Getting whacked over the head with bamboo sticks and so on. We do have kendo here, but not so much intensity from physical violence, but just how sincere the effort is. We sit a long time, and we don't indulge in "something feels a little uncomfortable," so we stop. We just go through it. At a basic level, it builds strength, a certain kind of physical and spiritual strength in people. On a deeper level, it provides a venue to touch those deep place of the human psyche physical experience, that can be uncomfortable, can be scary and you kind of need a laboratory, you kind of need a place that provides a controlled environment. Chozen-ji is really unique in that sense that we take all kinds of people, we see all kinds of reaction to that. That doesn't scare us off to have people going deep. But he does more than communicate that to others, he bestows it on others? His ki‘ai, your vibration, affects people. So if you’re really good enough, you don’t have to say anything. Just by who you are, you can take away suffering. How would that work? Hodge related Honda Roshi’s demonstration with two tuning forks. First Honda struck one, producing a mellow, clear sound. He then grasped it, and the sound kept going—because the second fork had started vibrating too. He grasped the second tuning fork, stilling it, and we could tell the vibration had re-tuned the first fork. Chozen-ji is all about cultivating kiai, spiritual energy, or vibration. I’m a clinical psychologist. I have a Ph.D. in clinical psychology. Mike Sayama has a PhD. in clinical psychology. He’s familiar with the labyrinthine recesses of the human psyche. Sayama says only a very few people are ever going to do “shugyo”, the deepest level of zen spiritual practice. In Japanese you have six different words that refer to the levels of training. You have keiko, renshyu, shuren, tanren, kufu, and shugyo. 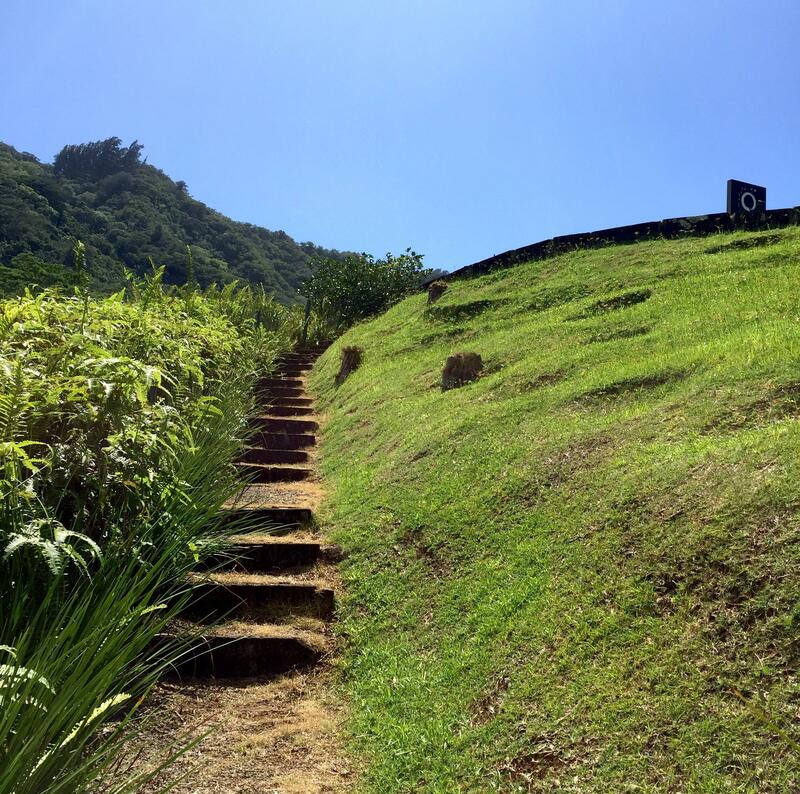 If you try to translate them into English, you can say practice, then you can say training, that‘s little more serious than practice, then you can say discipline, but you run out of words before you get to shugyo, which is the deepest possible spiritual training. Tanouye Roshi’s goal was to bring shugyo to the West. That was the beginning of Chozen-ji. Chozen-ji is a place to do shugyo. What does that entail? 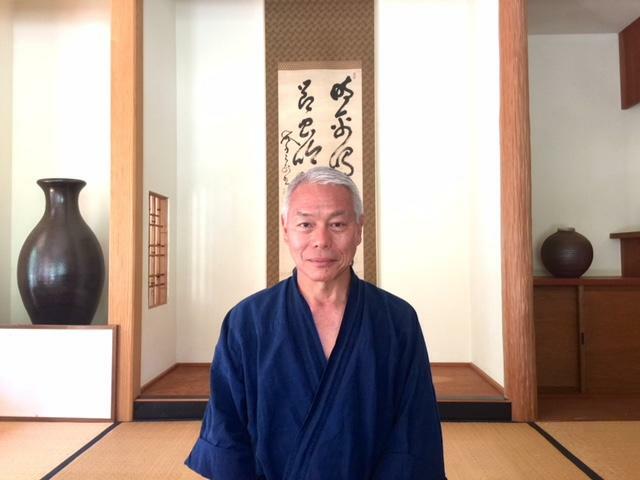 What Tanouye Roshi said shugyo entailed was zazen, sesshin, and the hojo, the core elements of shugyo. Zazen is meditation, sesshin is this intense period where you live for six days completely focused on training. You sit long hours, very little sleep, you have to pay attention to how you eat, in a very prescribed manner. The point is you can’t let your concentration slack for the whole period of time. Hojo is the old sword form. Sayama Roshi kindly toured the handsome ceramics lab with its rare wood burning kiln. We entered the dojo which houses stunning examples of calligraphy by Omori Sogen, Tanouye Roshi’s teacher, the spiritual head of Chozen-ji. Ceramics by Myoshin Teruya, Tanouye Roshi’s student, also line the room, examples of Omori Roshi’s belief that Zen and the fine arts are integrally linked. In the book, Omori Sogen, The Art of a Zen Master by Hosokawa Dogen, the master is quoted as saying, technical training at the service of Buddha Mind allows ki‘ai to flow freely, without interference from conscious thought or tensions in the body. It is believed that when a Zen master uses his brush, his spirit, kiai, is transmitted to the ink particles which preserve a particular depth and luster as a record of that moment.